Lots of movie posters hitting the web this week. We’ve got new one sheets to show you from director Guillermo del Toro’s PACIFIC RIM, the Charlie Bewley viking film HAMMER OF THE GODS, the film adaptation of the popular book ENDER’S GAME, and the Channing Tatum and Jamie Foxx thriller WHITE HOUSE DOWN. Click on image to make it much bigger. First up, PACIFIC RIM takes two things kids love, giant monsters and giant robots, and gives us a couple hours of both fighting on the big screen. 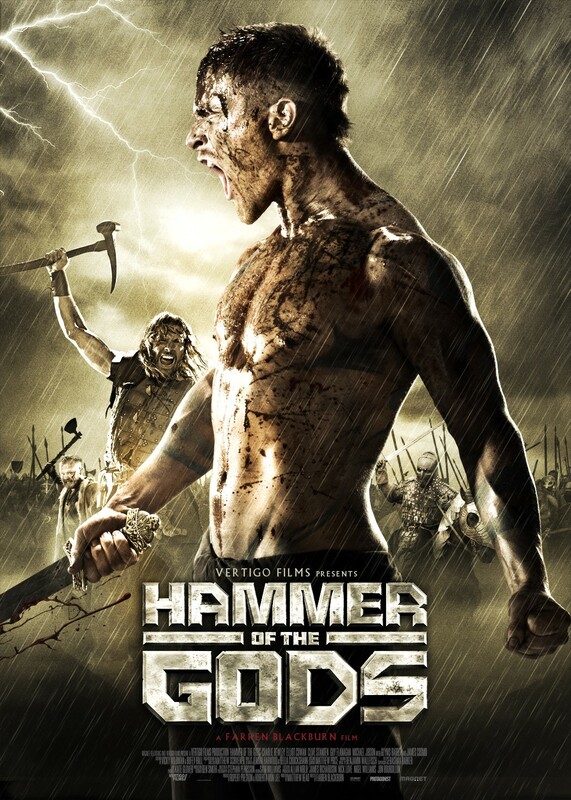 The trailers looks pretty fantastic, and most of the posters have really captured the scope of the story. 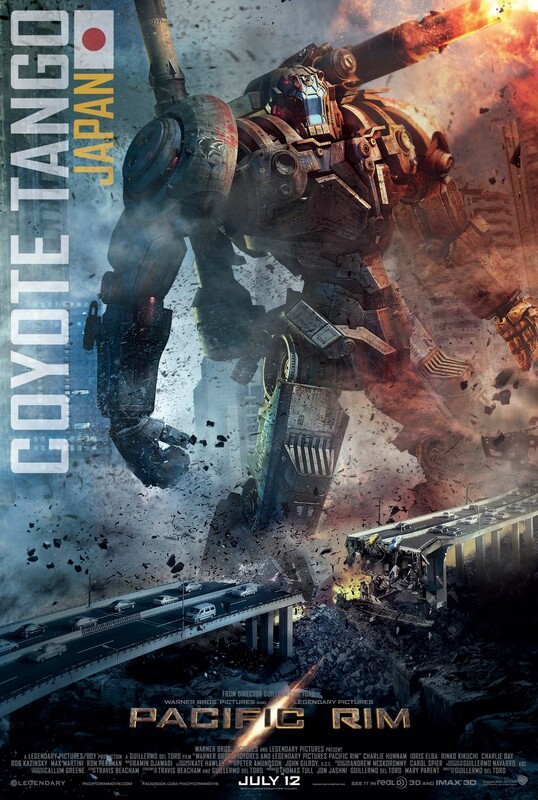 This latest one shows up what appears to be Japan’s giant robot contribution in the story, “Coyote Tango.” Guillermo del Toro directs, with Idris Elba, Charlie Hunnam, Rinko Kikuchi, Charlie Day, Burn Gorman, Clifton Collins Jr., and the always wonderful Ron Perlman starring. 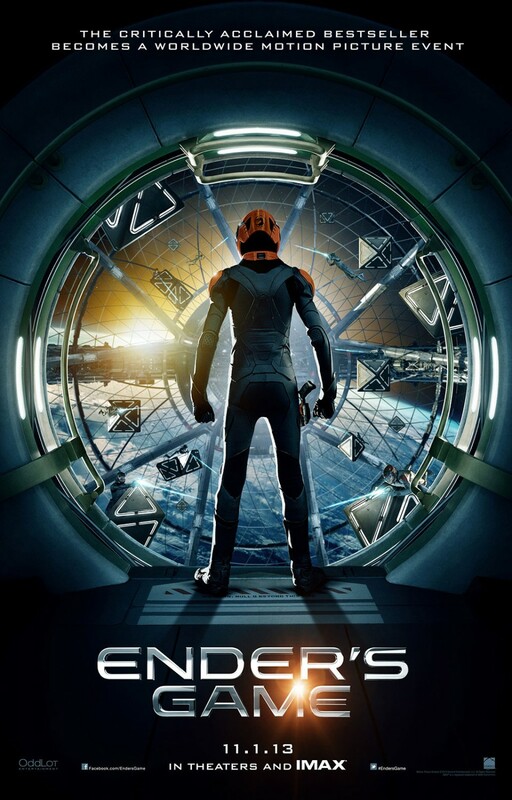 Next up is ENDER’S GAME, based on the book by Orson Scott Card… the guy who is the subject of a lot of controversy in the comic book world right not, due to his views on gay marriage, but that’s another story. 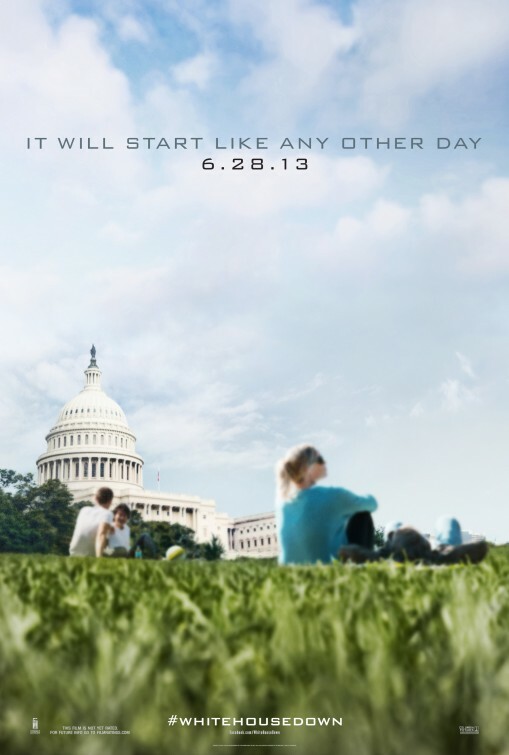 The film stars Harrison Ford, Asa Butterfield, Abigail Breslin, Ben Kingsley, Hailee Steinfeld and Viola Davis. It’s directed by Gavin Hood. While I can honestly say I’ve never read the book, I certainly know the popularity of it, so this should be a pretty big film. 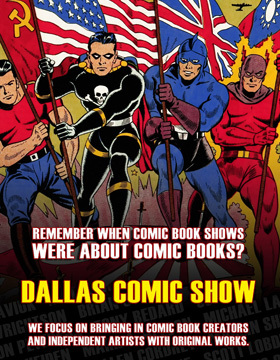 The first poster is rather cool, dontcha think? 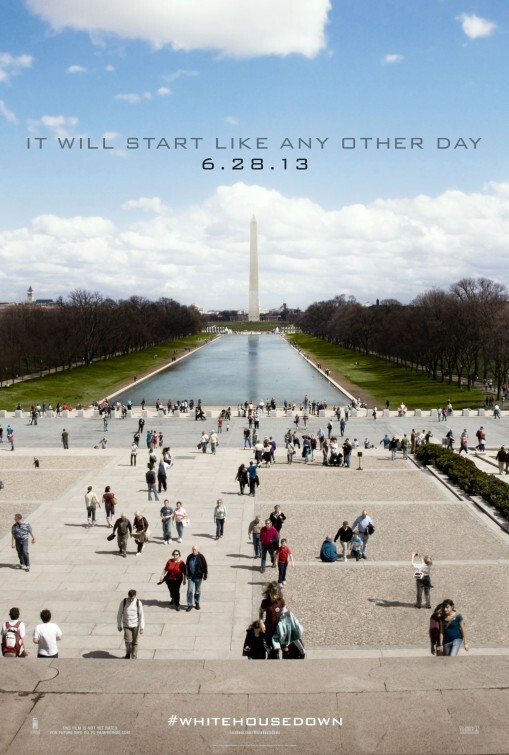 .And finally, not one, not two, but three teaser posters for WHITE HOUSE DOWN. This film is directed by Roland Emmerich (INDEPENDENCE DAY) and stars Channing Tatum as a secret service agent who must save the President of the United States played by Jamie Foxx when The White House is compromised. Sound familiar? 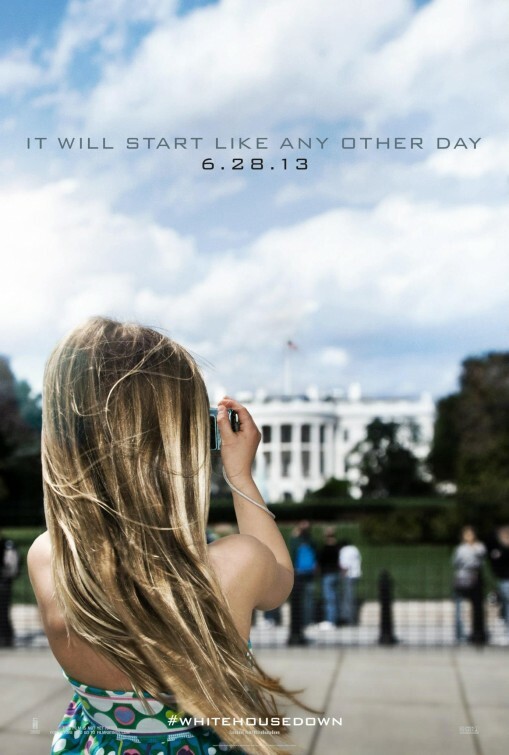 It’s one of two movies with the “DIE HARD in The White House” story after OLYMPUS HAS FALLEN. Jason Clarke, Maggie Gyllenhaal, James Woods and Richard Jenkins co-star. No trailer yet, but it’s hitting any day. 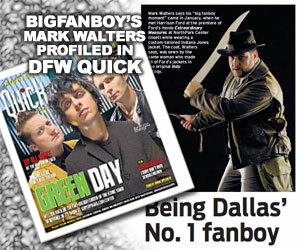 In the meantime here’s THREE posters for ya.